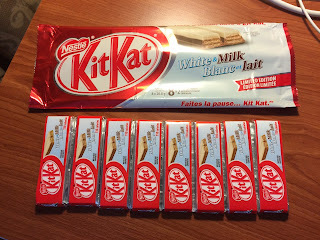 When I found KitKat Orange, I saw this "KitKat 2015 Happy New Year 恭喜發財" was next to it. On the right, there's a sheep, which is one of the Oriental Zodiac of 12 kinds which changes every year, and it's a year of sheep (<-- the Chinese word 羊 also means goat). The phrase 恭喜發財 is used for Chinese New Year's greeting. And according to my search, the original meaning is "Be rich" or "Get rich quick." 恭喜 means Happy Near Year, congratulations, and 發財 is to wish you to get a lot of business. One side was "Faites la pause... 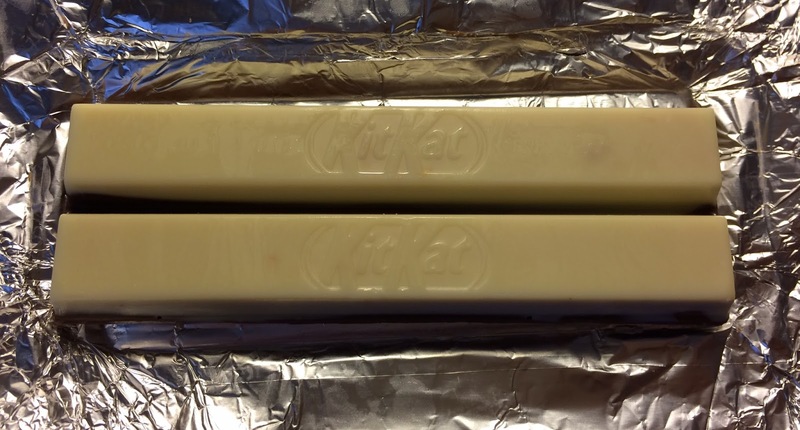 KitKat." 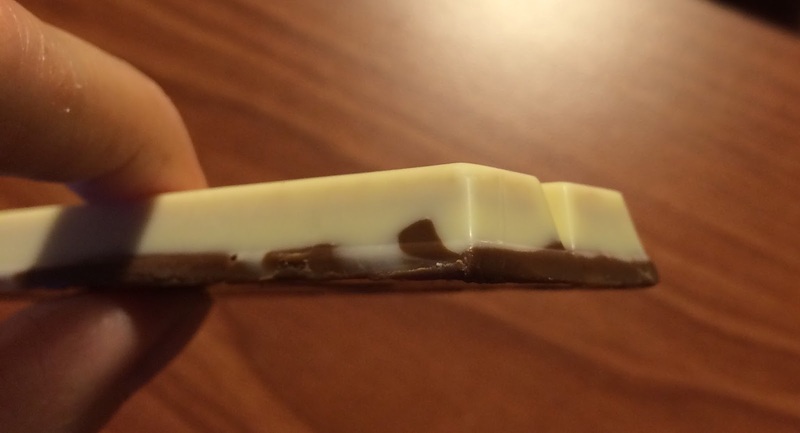 The other side was "Have a break, have a KitKat." 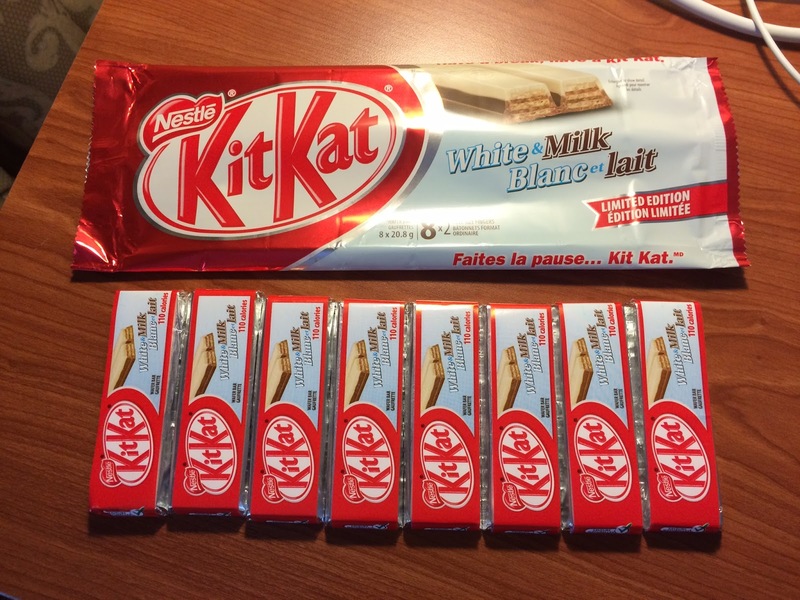 When I took off the paper wrap, there's simple KitKat flavor description; White & Milk. 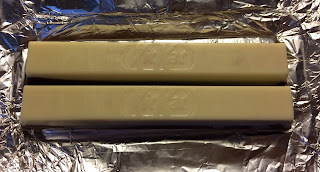 There're 8 individual pieces in the package with the same design on the outer package. It had intense sweet scent when I opened the large bag. 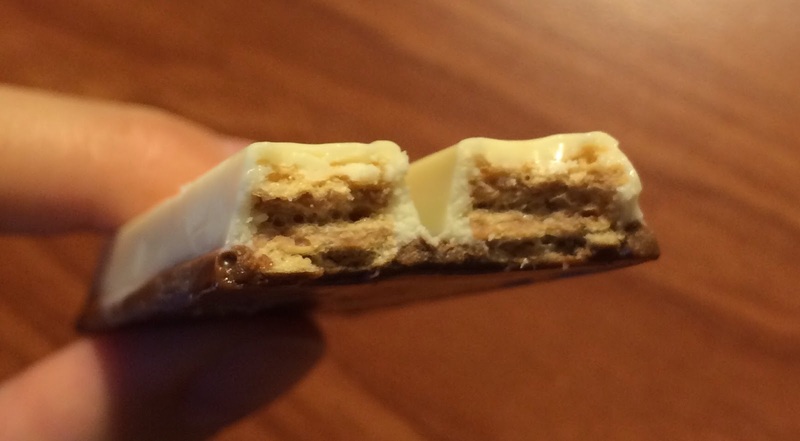 The upper side was white chocolate and the bottom was milk chocolate, but it's not neatly separated like the advertisement photo. Though it had very sweet flavor and there's a lot of white chocolate, it din't have much white chocolate flavor and tasted like a sweeter milk chocolate.